ROTOTEA is a Five Deck sorter with a rotary movement on a horizontal axis, fitted with different size of Stainless steel meshes. It sorts brokens and fan nings. 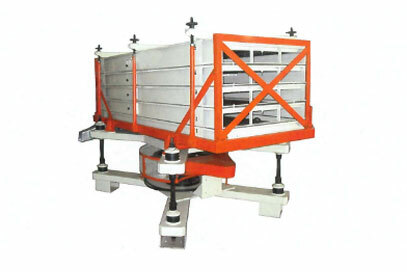 Rototea 5 Grade Sorter is made of cold formed steel sectional moving and fixed frame. The moving frame carries 5 numbers of cold formed steel sectional mesh trays and is supported on rubber mounts which is driven by a single eccentric drive in the centre. Discharge is through a special spouts machine driven by a 2 HP motor and starter.